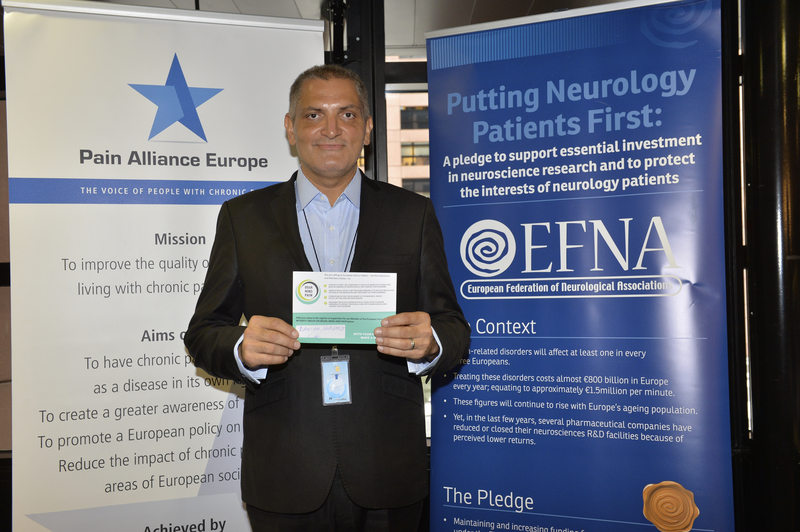 Damian Draghici signing the Register of Supporters of the MEP Interest Group on Brain, Mind, Pain in Strasbourg. 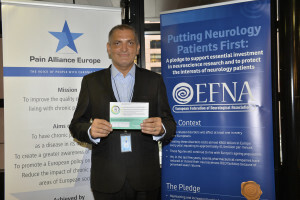 ‘Preventing Neurological and Chronic Pain Disorders’ is the theme of the upcoming meeting of the Member of the European Parliament Interest Group on Brain, Mind and Pain. The event will be hosted by Romanian MEP Damian Draghici. It will explore why we should and how we can prevent the onset, and worsening, of brain and pain disorders. The agenda includes presentations on the importance of health promotion in raising awareness of common risk factors (e.g. obesity, poor nutrition, smoking, sedentary lifestyles, etc.). It will also cover how EU legislation can be applied to help prevent these disorders, and enable self-management. There will a discussion and debate session to end the event. So please come along and contribute if you have an interest/expertise in this topic. We encourage you to let us know if you plan to attend as soon as possible because demand to participate is high. To register, please email your full name and organisation to: info@pae-eu.eu before Friday, June 5th. Stringent security measures are in place and if you do not have a European Parliament access badge please also include your Date of Birth, nationality and ID/passport number. Following the meeting we will draft and circulate our ‘Calls to Action’ arising from the meeting and the subsequent debate. These calls will be pursued by the Interest Group as we strive to achieve real, measurable outcomes.